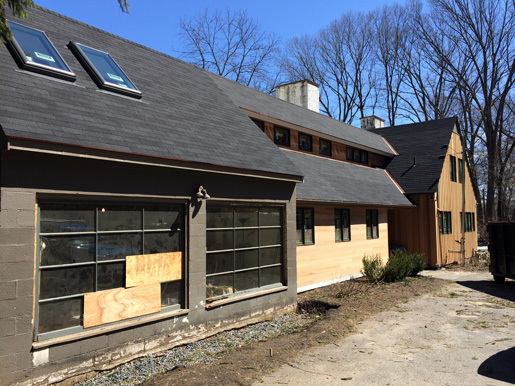 This is one of our most favorite remodeling projects to come along recently. Why? 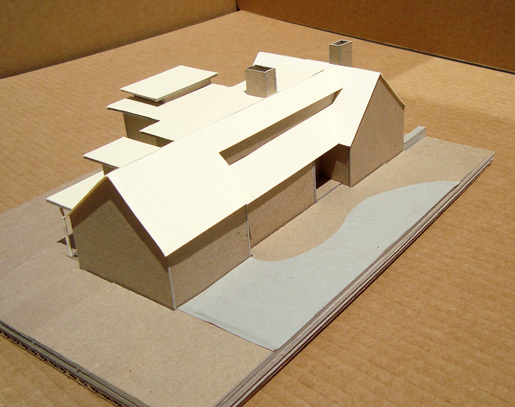 Because it is a solidly built home that suffers from a few design deficits that are easily rectified by one bold move. In addition, the home is of an age where the exterior - siding, roofing and windows need to be replaced. The same case holds for the bathroom fixtures and kitchen fixtures and appliances. 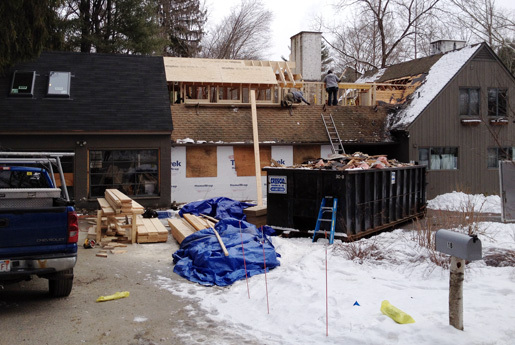 We like this because the vast majority of disruption required for our addition and remodeling work will replace materials at or near the end of their service life. The east wing of the house contains the entry foyer, sunken living room and guest bedroom with adjacent full bathroom on the first floor. The second floor of this wing contains a large bedroom, a small room of questionable use, and a full bathroom off the stair hall. The west wing first floor is an unconditioned junk room that appears to have been intended initially as a 2-car garage. The second floor of this wing contains a bedroom accessed from the junk room by a spiral stair or down a long, mean second floor hall linking back to the stair hall. The center section contains a narrow galley kitchen with stacked washer/dryer in a corner, adjacent walk-through dining room, and a powder room. Above, off the long, mean hall is another small room of questionable use and a water closet ( toilet & sink). This center section is the problem. 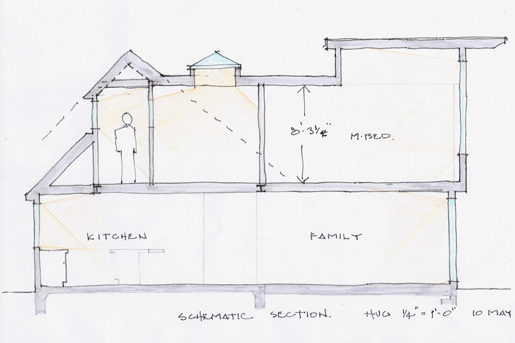 Our design inserts a 2-story addition partially behind the dining room and extends over the dining room and kitchen. The result is a larger more accessible kitchen with walk-in pantry; a combination dining area sitting area; and a mudroom on the first floor. The second floor of the addition is a master bedroom suite (absorbing one of the tiny rooms and water closet) and the conversion of the long hall into a light-filled gallery. Other improvements include converting the junk room into a 2-car garage (the property has no functioning garage now) linked to the new kitchen through the new mudroom. The foyer is enlarged to directly connect the center of the home to the sunken living room and provide convenient access to a new terrace/ deck and expansive rear yard. Click here to see the project completed.